The full view of parcels and property taxes within 71st/Stony Island are for Cityscape Pro and Cityscape Permits members only. The 71st/Stony Island TIF district expires Thursday, October 7, 2021. Its use is "commercial". The reference number is T- 60. 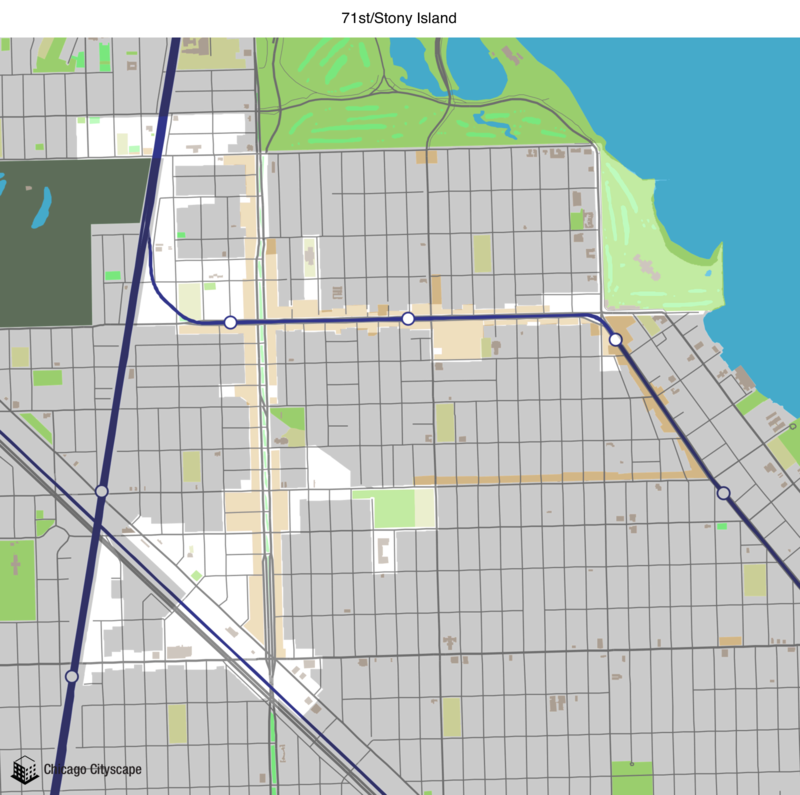 You're free to use our static map of 71st/Stony Island, but please attribute Chicago Cityscape and link to this page. The area of 71st/Stony Island is 0.7672 square miles. Show a map of all the Places that overlap 71st/Stony Island, including ZIP codes, Census tracts, legislative districts, and TIF districts (this may take awhile if 71st/Stony Island has a large area).